Sprawling pools, sea views and direct access to the promenade no wonder the H10 Las Palmeras has won awards. 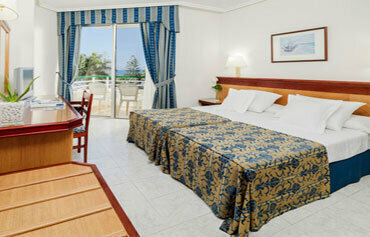 Its located in a prime spot overlooking the ocean, just 500 metres away from Playa de Las Americas sandy beaches. 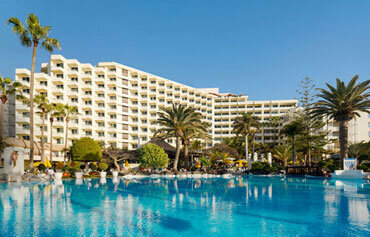 But theres more to this four star Tenerife hotel than location. Subtropical gardens, a tempting array of restaurants and great entertainment for children and grownups are just some of the reasons why H10 Las Palmeras gets the thumbs up from so many guests. Four tennis courts, a gym and bright and breezy rooms are some more. Discover this four star hotel in Playa de Las Americas for yourself and see why its one of the resorts most sought after places to stay. As youd expect from a four star Playa de Las Americas hotel, there are some excellent facilities at the H10 Las Palmeras. You cant miss the two huge pools, one of which is heated in winter and the separate pool for children. All of these are tucked in the lush gardens that lead down from the hotel to the prom. Theres plenty of space to sunbathe on the furnished terraces. Other pluses about this place include free WiFi in public areas, four tennis courts, a brand new gym, TV room and games room, meeting facilities, childrens club, play area, internet corner, souvenir shop and laundry service. The grand total of rooms at the H10 Las Palmeras is 519. Facilities vary according to room type, ranging from Superior Double Rooms to Family Rooms and Junior Suites with Sea Views. All rooms are decorated in a nautical, blue and white style and feature: full bathroom, hairdryer, direct dial telephone, satellite TV, air conditioning, safety deposit box (local charge), minibar (on request) and balcony. 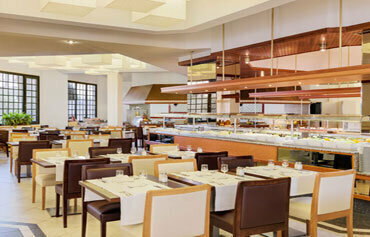 Take your pick from a host of bars and eateries at this 4 star Tenerife hotel. Garoe is the main buffet restaurant, where youll be able to choose from huge choice of dishes and see show cooking, the barbecue restaurant next to the pool is just the place for grilled treats, La Ballena is the scenic seafront restaurant and Specchio Magioco is a new a la carte Italian outlet. Theres also a pool bar, Big Ben bar (which frequently lays on live music in the winter) and a relaxing piano bar. For extra value, choose the all inclusive option. The inhouse sports and animation team keep guests entertained and active. 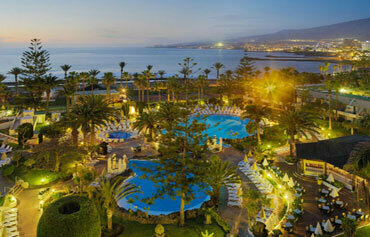 The H10 Palmeras Hotel occupies a prime position on the promenade at Playa de Las Americas in southern Tenerife. The sandy beaches of the resort are located within a five minute walk.